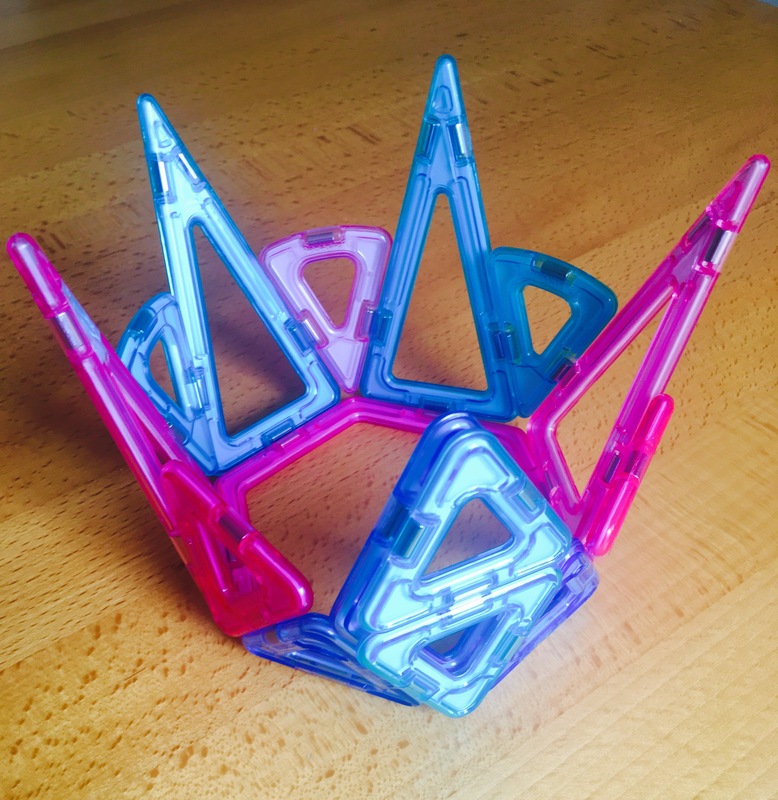 We discovered the Princess Magformers set this week, which fits perfectly into our theme on The SEN Resources Blog of Castles, Dragons and Fairies. We’ve also got a 10% discount code ‘SENRES10’ to share with you, if you buy Magformers from their website. We are HUGE fans of Magformers on The SEN Resources Blog. For those of you who are new to Magformers they are a very clever, unique construction toy for kids which uses magnets to connect the pieces together. 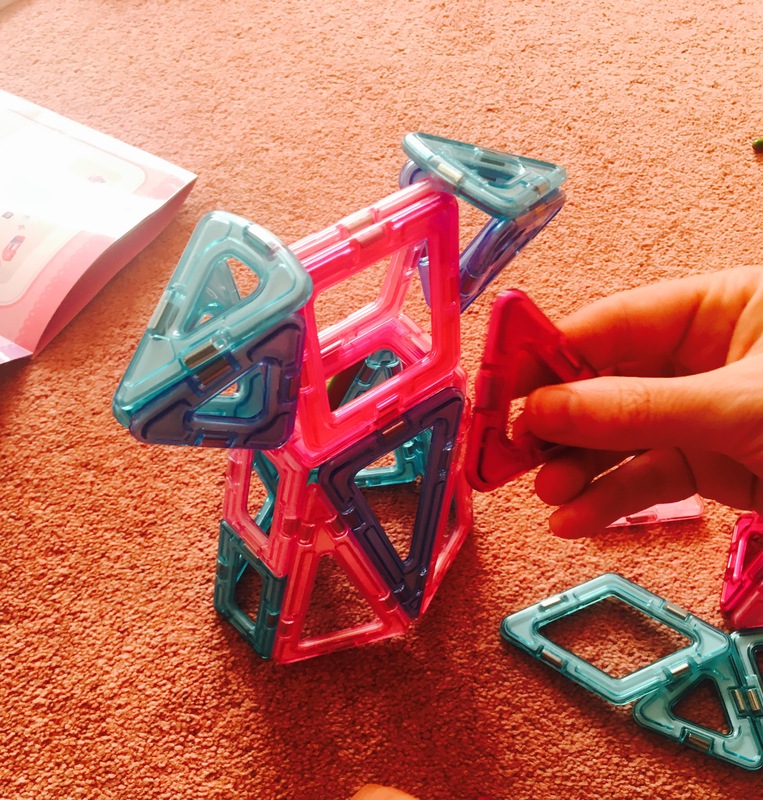 Find out more and have a read of our review of other Magformers sets here. 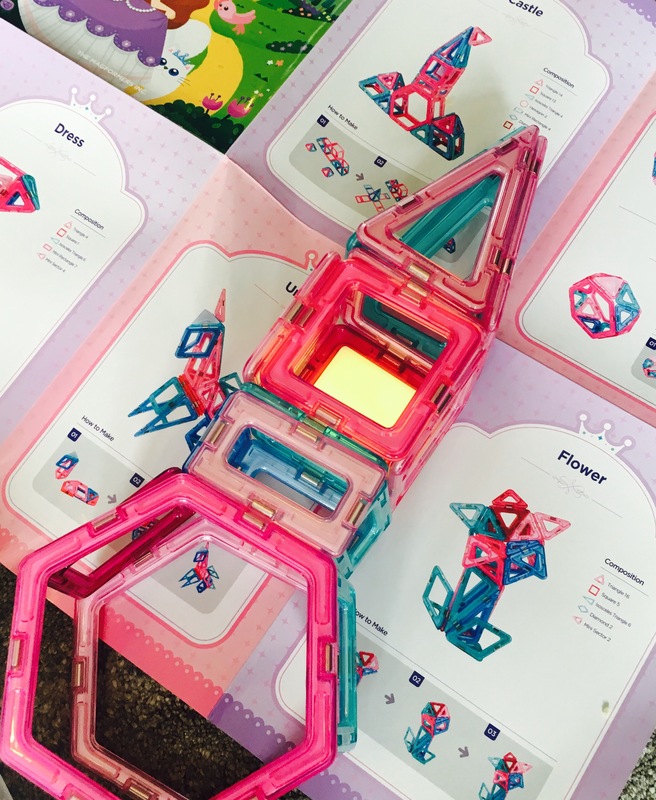 Engaging– When I first came across Magformers, back in April this year, I wrote a blog post raving (..boasting!) about how I’d been able to sit and drink a (real life…hot!) cup of coffee whilst my children were completely absorbed in constructing with Magformers. I can confirm that the novelty factor hasn’t worn off, my kids are just as excited and as engaged in playing with them as they were then. 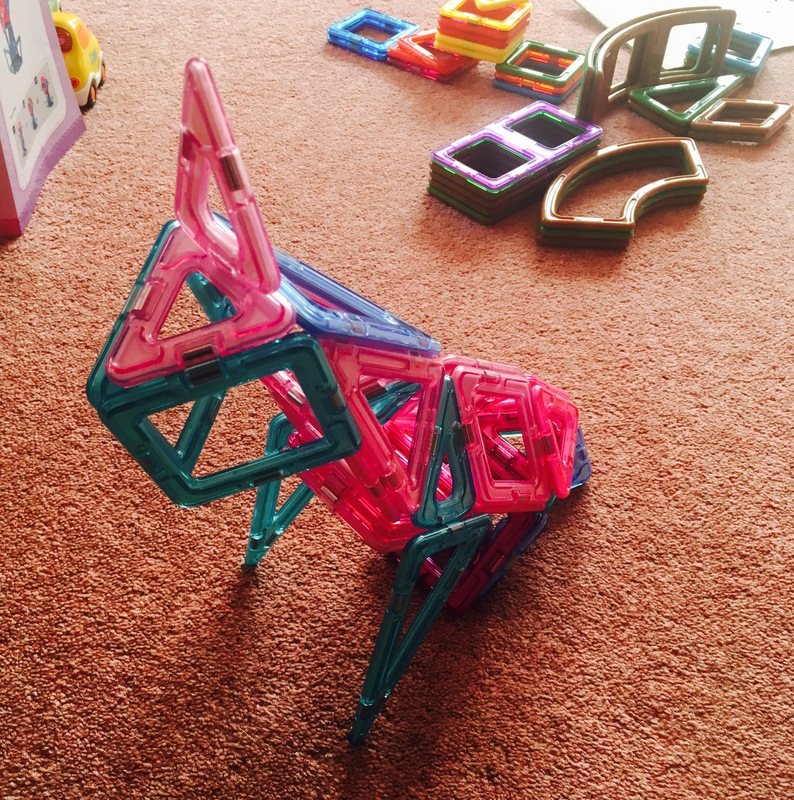 Magformers are brilliant for keeping children actively engaged in play. 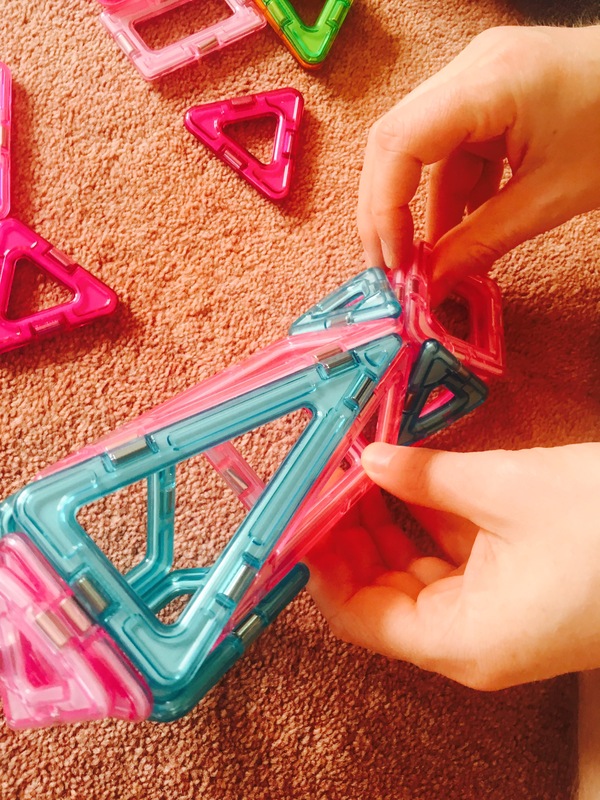 Developing Fine Motor Skills & Hand-eye Coordination- One aspect of Magformers that I particularly like, as a qualified teacher/Special Needs Coordinator, is how they help to develop important skills through play. Pulling the pieces apart and connecting them together requires children to use their fine motor skills, hand strength and hand-eye coordination. Children also have to think creatively, planning how to make the 2D net of the 3D shape they want to create. 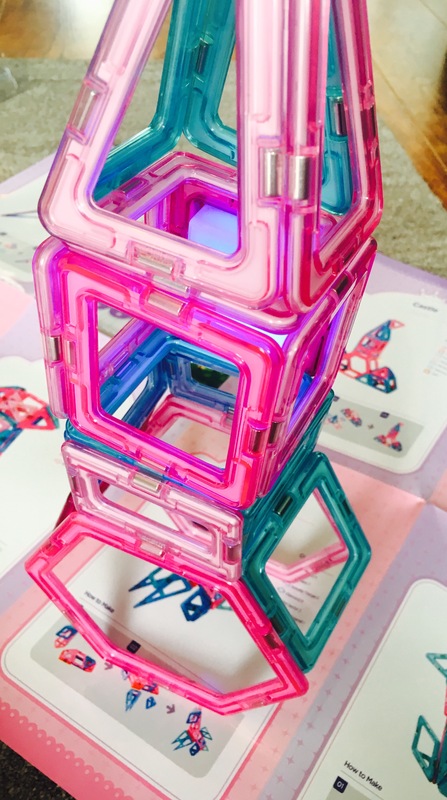 Princess Set Unique Features- The Magformers Princess Set really surprised us with it’s fabulous unique features. The colours are gorgeous pastel & pearlescent and it even has a (USB Charged) flashing colours piece! There also a booklet with brilliant, princess themed creations to build- like a wand, castle, dress and even shoes! 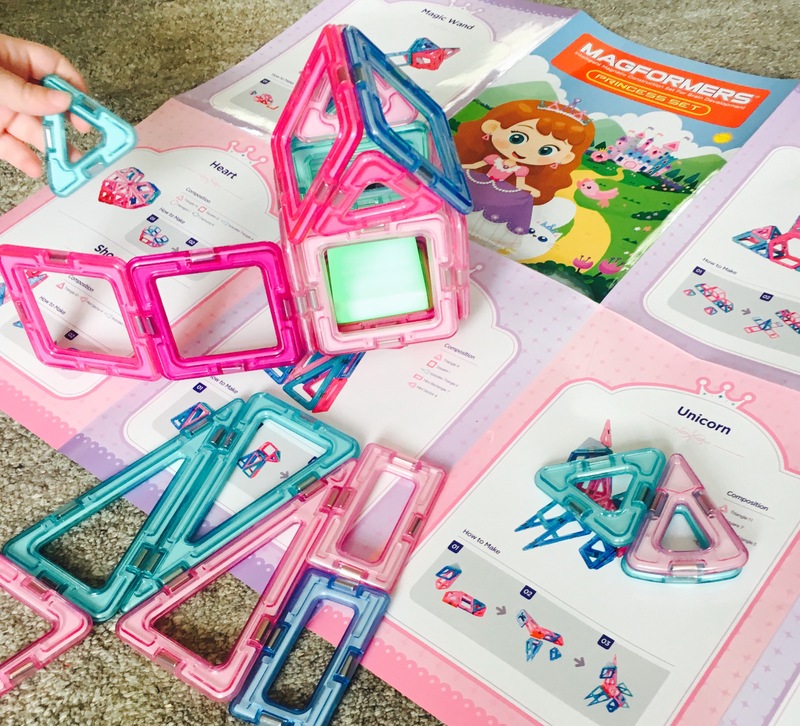 Engaging Girls- I’ve been fortunate that my daughter has enjoyed playing with the Magformer sets in general, and know thats they (like all toys!) can be played with by girls and boys alike. However, for some children that might need a bit of persuading that construction toys are for them too- this might do the trick. I’m a big believer in the importance of encouraging girls and boys alike when it comes to engineering and construction. Visit the Magformers Website and use our 10% Discount Code SENRES10. This set looks terrific for my grandchildren. That’s one birthday present sorted.